San Mateo County is introducing two new fees at two airports to address impacts from an increase in charter flights. 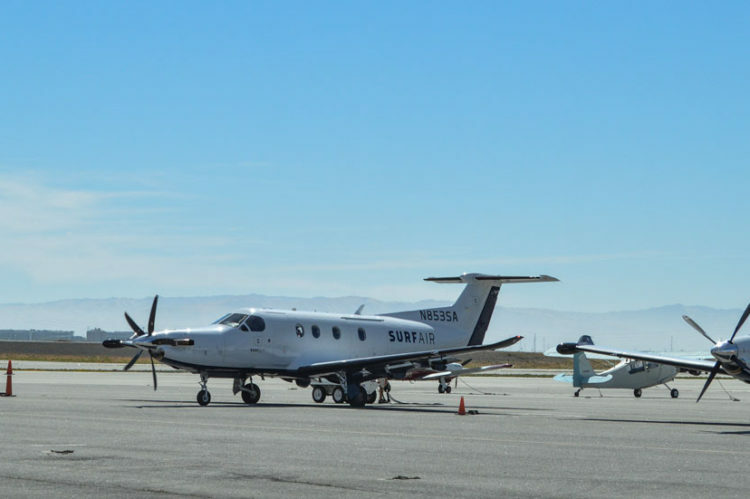 The county’s Board of Supervisors on Tuesday adopted new fees for charter flights into San Carlos Airport and Half Moon Bay Airport that will be paid by charter operators and passengers. Beginning immediately, all charter flights will be charged a $75 landing fee at both airports. In addition, for a six-month trial period, passengers at San Carlos Airport will be charged $10 a day for vehicle parking. At the end of the period, the board will review the parking fee and consider whether to continue imposing it. The parking fee was rejected for Half Moon Bay Airport because it has sufficient parking. The board also adopted a new policy that will allow airport cameras to be used to verify incoming charter flights and then bill the operators. The landing and parking fees together are expected to generate roughly $150,000 in net revenue annually, according to a news release. The landing fee will go toward offsetting increasing costs needed to maintain runways, taxiways and aircraft parking areas, as well as additional staffing and expanded hours of operations to deal with the increase in charter landings. “While the total number of operations has remained steady over the last five years, commuter and charter operations have increased significantly in that same period,” the release states. 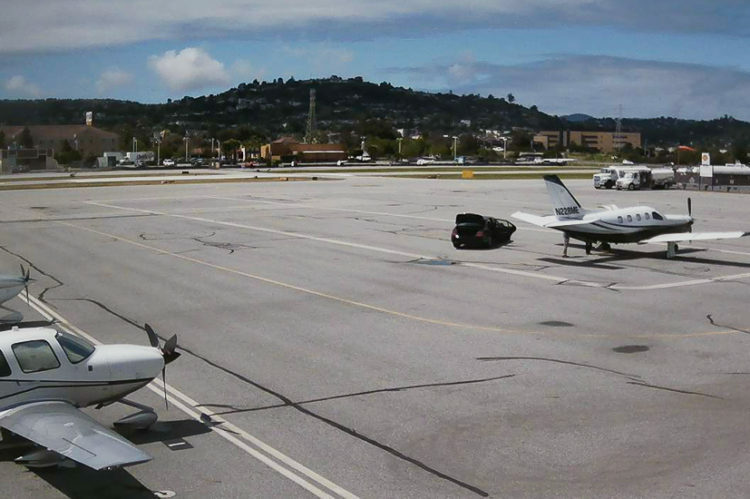 Surf Air is one of five charter operations that fly out of San Carlos, according to the airport. 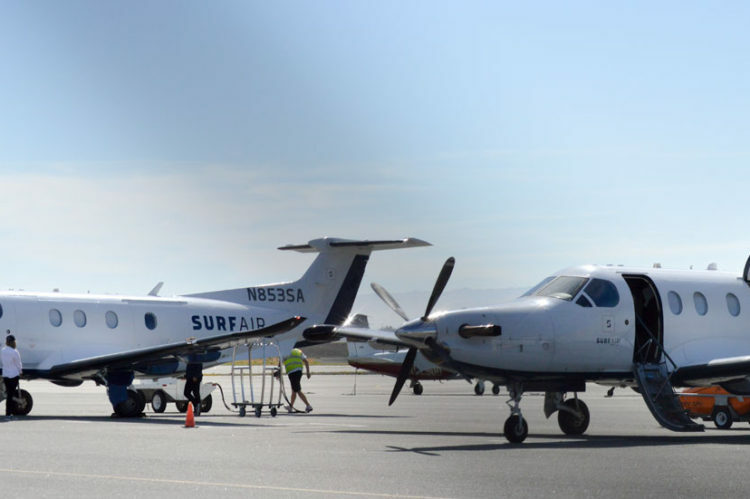 Of the charters, Surf Air runs the most flights by far and is the only one that has scheduled departures. The board argued that the $75 landing fee is consistent with landing fees charged at several nearby airports. The fee is supported by the San Carlos Airport Association, the California Pilot Association and the San Carlos Airport’s aviation consultants. 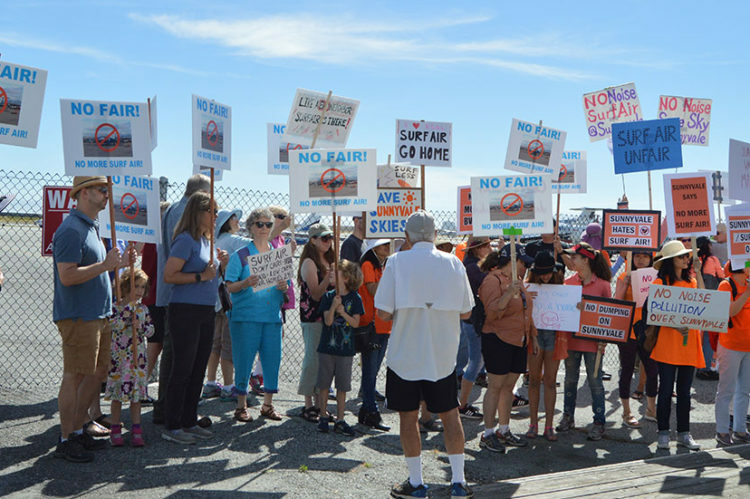 Filing claims Surf Air is using deception to avoid regulation. Article written on July 17, 2017 and appeared in the Almanac. For many who thought the curfew did not go far enough, particularly those who experience departures starting at 6 am, those County suggested measures were insufficient. Mike Callagy, Assistant County Manager, emphasized a new Surf owner, a new chief pilot, a new CEO, and a new attitude. There was no mention of an agreement to scrap the curfew or any mention of the increase in flights June 1. Mr. Callagy is new to us to this issue, and he has now been “schooled” by Surf like the rest of us. They have no intention of cooperating or doing anything other than maximizing revenue. “As of the meeting time on Thursday, we had no idea about the proposed 12 new flights by SA into San Carlos. 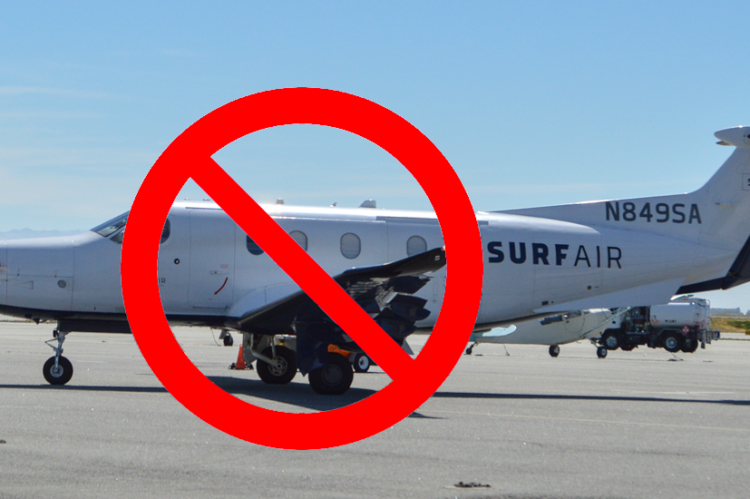 We don’t have any agreement with Surf Air, the Pilots Association or any other charter company in regard to the curfew or any of the other proposed changes. We have had productive conversations with these entities over a period of time and those discussions are ongoing, but these 12 proposed new flights a week by SA cause us all great concern and will be the subject of any future discussions with all involved parties. I did not find out about the proposed new flights until Friday night around 5p.m. In fact, I spoke to the new Chief Pilot Friday at 4 pm about how disappointed I was with this announcement about a deal and he was also shocked that something like that went out when we were just starting to have good discussions. He likewise didn’t say anything about new flights. I called him back on Monday and he confirmed he had no idea SA was adding new flights and neither did his boss. He explained Encompass operates the planes, but don’t have anything to do with the schedule and no one from SA had conferred with him about the schedule. This Community Meeting message does not say whether community members will be able to speak for 2 minutes. This posting is not easy to find. 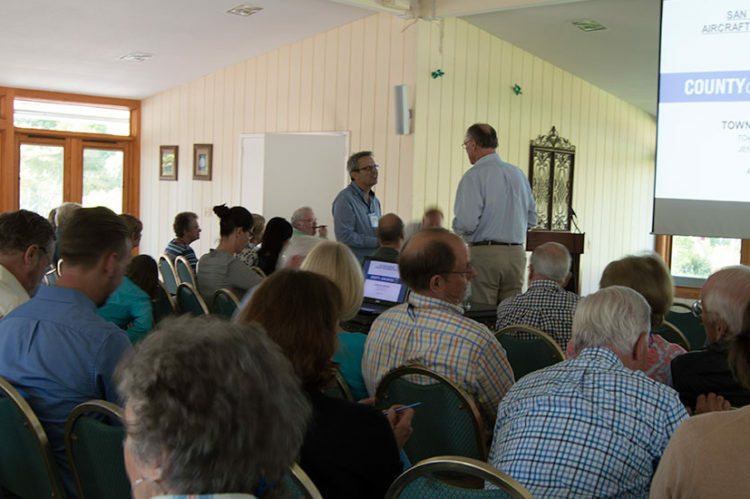 The County wants a low turnout, except for the members of the airport community who received notice of this meeting. 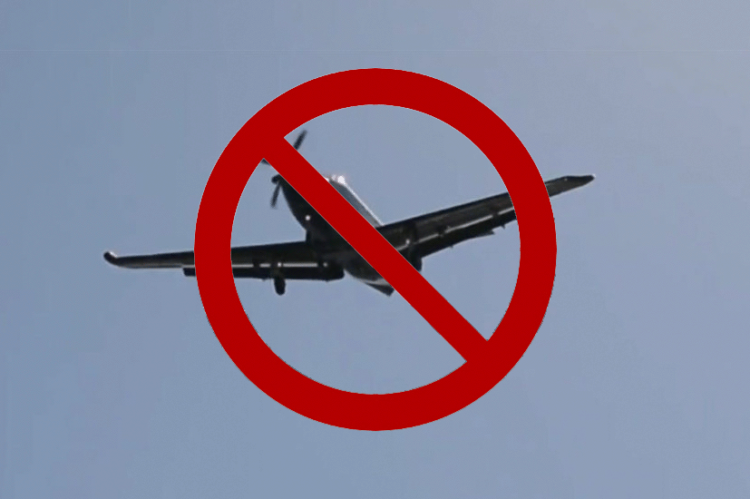 Please join us for a Community Meeting to share ideas generated by neighborhood representatives and airport users in recent focus groups and provide input on options the County is currently evaluating for reducing aircraft noise generated by the San Carlos Airport, including the proposed curfew ordinance. Parking is available (free after 6:00 PM) in the County Parking Garage at 1017 Middlefield Road (between Veterans Blvd & County Center) in Redwood City. All information presented at the meeting will be available on the Airports website at http://publicworks.smcgov.org/san-carlos-airport. 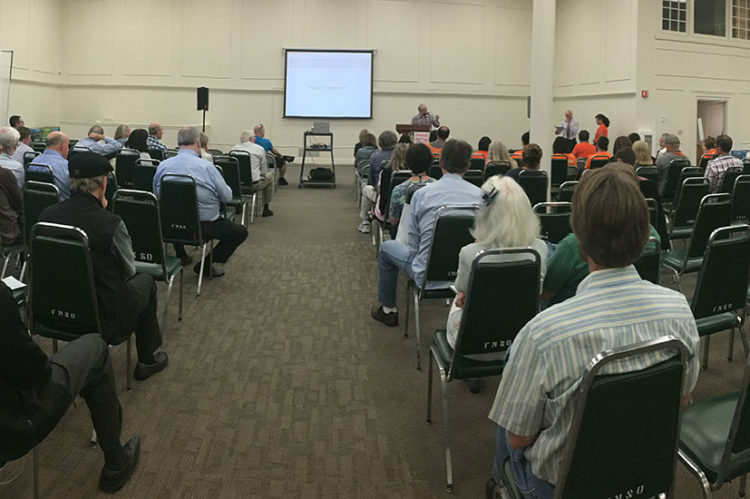 If you are unable to attend the meeting, you can email a comment to SQLFlightRestrictions@smcgov.org. If you have any questions, please contact Airport staff at (650) 573-3700. To be notified of future meetings, please subscribe to San Mateo County’s GovDelivery Service at: http://cmo.smcgov.org/newsroom. 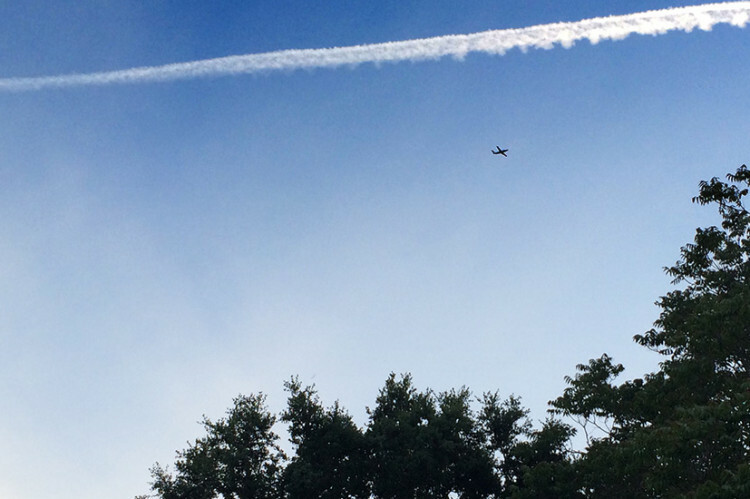 The County and the airport have hired a firm to do a Part 150 study. There will be four meetings. First one was the evening of 4/20/17. Others will be scheduled later and (more) notice provided. Calmtheskies.org will post them as will the website below. We are part of the steering committee – the Planning Advisory Committee (PAC). We will post information from those PAC meetings, including information from the first one held the afternoon of 4/20/17. This study does not solve our noise issue with Surf Air and others that fly the Pilatus and/or fly at very later or very early hours. There is minimal noise metering with the study. This is explained later on this website in the FAQs. The Open House format will allow you to pick up the same material that you can get on the website. The consultants will be there to answer questions. This is not the venue for policy discussions. The meetings have Comment cards and the website has the Comment section with the same card. They prefer emailed comments.